50 000 BONUS to the agent that brings and accepted offer by March 15h. 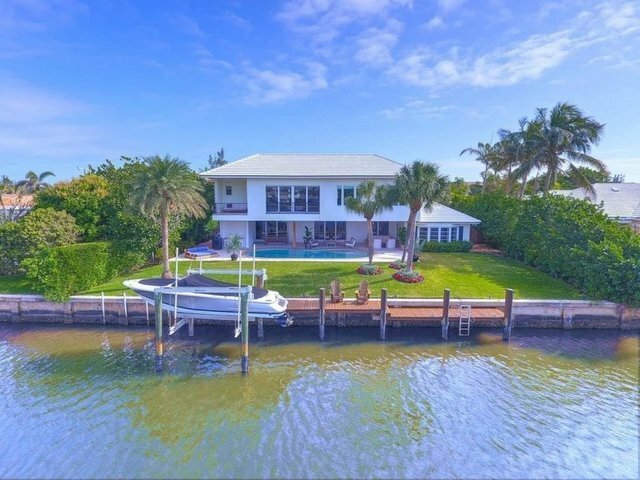 50 Spoonbill Road is a spectacular waterfront estate that was designed to allow for some of the best indoor outdoor living the Palm Beach area has to offer. Lovingly finished by a developer best known for luxury properties in London Los Angeles and Palm Beach for his own family this six bedroom six bathroom home including three gorgeous Master Suites has been renovated with exceptional attention to detail and utilizing the highest quality finishes including new terrazzo with mother of pearl inlay and wood flooring from duChateau kitchens and bathrooms from HenryBuilt Kallista Poliform Dornbracht and AnnSacks.